Creatine is unfairly considered as a controversial supplement among new lifters and bro-scientists, but the reality is that creatine is actually one of the most well researched supplements available on the sports nutrition market today. I would recommend creatine to any lifter, no matter what their experience level may be. It has a plethora of benefits and no real down sides if the recommended daily dosage is adhered. 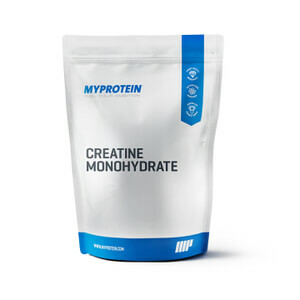 Creatine is a nitrogenous organic compound that greatly increases energy, mostly in rapid or explosive movements, improves endurance, slightly increases size, promotes water retention, and allows for better contraction of the muscles during workouts. Creatine can be found in meats and is synthesized in the body, but neither of those provide the body with nearly enough creatine to see adequate benefits. The root word of creatine, “kréas”, is actually Greek for meat, hinting at its origin. Because we cannot consume enough meat to satisfy the optimal creatine consumption, people need to supplement it in either pills or powder. Creatine’s primary function is to give the body more rapid energy through its influence in the ATP cycle. The ATP cycle is the bodies process of producing energy. All food is eventually broken down into ATP (adenine triphosphate) and ATP is then broken down for energy. It leaves the byproduct ADP (adenine diphosphate) and consumes a phosphate ion for energy. The ADP must replace the lost phosphate to be transformed back to ATP. That is where creatine comes in. Creatine speeds the cycle up by increasing the ADP to ATP conversion rate, and therefore leads to faster energy output. The reason creatine can greatly aid in lifting performance is because it’s mostly stored in muscles cells. Additionally, your body pulls in more water while consuming creatine in order to help store and use the creatine. For this reason, adequate hydration is highly recommended during creatine supplementation. The concept behind increased protein synthesis is not that creatine directly influences it, but creatine increases strength, energy, and endurance. Those factors then increase protein synthesis because you are lifting more weight for longer intervals. Because creatine gives access to energy quicker, that will correlate to more energy during activities that require a lot of power, force, or energy. In a study of 22 males who supplemented with creatine, there was a 12-20% increase in strength overall and a 3-45% increase to their one rep max on bench press (Rawson). Creatine promotes more water retention in the muscles, which makes you look bigger. It does NOT make you fatter, rather just makes the muscles look more full. Creatine is extremely cheap, especially for the benefits it posseses for your training, and is very easy to take. 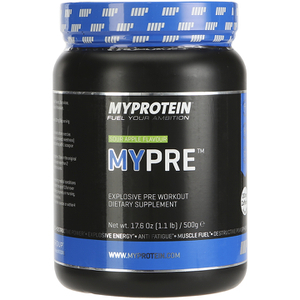 It can be easily mixed with water and drunk on its own, or mixed with your pre or post workout shake. By providing more energy to the muscles it improves your ability to contract fully on each repetition and allows you to workout and push harder for longer, leading to greater muscle fatigue and growth. If you are extremely under hydrated then you may experience some side effects of creatine, which is why the label recommends drinking at least 8 glasses of water a day while supplementing with creatine. These effects include cramping, nausea, dizziness, and headaches. You should also not overdose on creatine – make sure you read the product label and do not exceed the recommended daily dose. WRONG. Creatine does not make you bloated at all. As mentioned earlier, creatine’s water retention mechanism is intracellular. The water retention you need to worry about is subcutaneous, which creatine effects very minimally. To address these issues, creatine will not cause any of these things unless you are extremely dehydrated. If you somehow manage to dehydrate yourself to the point of getting these side effects, then you were most likely already experiencing ramifications from a lack of hydration and creatine had nothing to do with it. Absolutely! Creatine does nothing to hinder your weight loss and will just help you have more energy, strength, and endurance, which is very key to a successful cut. Creatine can, and should be, supplemented year round. 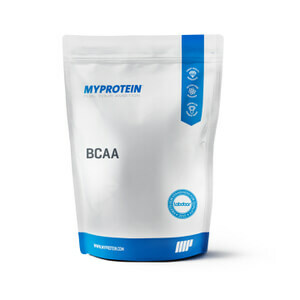 Loading is the period in which you significantly increase the amount of creatine consumed. The goal of loading is to saturate the muscles and see the benefits quicker; one week instead of three to four weeks. Loading isn’t necessary, especially in the long-run, but most athletes do it. The only problem with loading is that some individuals will continue the loading period indefinitely, due to misinformation or ignorance, and consume much more creatine than necessary. You should only load for the first week or so. There are multiple types of creatine: monohydrate, micronized, buffered, ethyl ester, and more. Each type has its own advantages and disadvantages, but they all perform the same functions. The advantages of monohydrate include: it is the most frequently researched, very effective, and the cheapest. Micronized creatine is basically monohydrate that has been divided so its surface area is nearly 20x that of creatine monohydrate. That promotes more efficient absorption, but requires a loading phase and is more expensive. Forms of ethyl ester have the best absorption because of an attached ester, but is the most expensive and tastes worse. In the end, all forms of creatine do the same thing, it just comes down to personal preference and budget. Buford in the Journal of the International Society of Sports puts it in simple terms, “Creatine monohydrate is the most effective ergogenic nutritional supplement currently available to athletes in terms of increasing high-intensity exercise capacity and lean body mass during training.” (Buford et al). To recap the benefits, creatine increases energy, strength, endurance, and size, is cheap, improves muscle contractility, decreases fatigue, and increases hydration. Now to recap the negatives…hh, wait there are none if you stick to the recommended daily dosage and make sure you’re well hydrated. Well you can get it right here, check out our creatine range! Buford, Thomas W et al. “International Society of Sports Nutrition Position Stand: Creatine Supplementation and Exercise.” Journal of the International Society of Sports Nutrition 4 (2007): 6. PMC. Web. 1 Dec. 2016.